With a setting so black and designs so bright, it is undoubtedly the right choice to carry to evening fiestas. 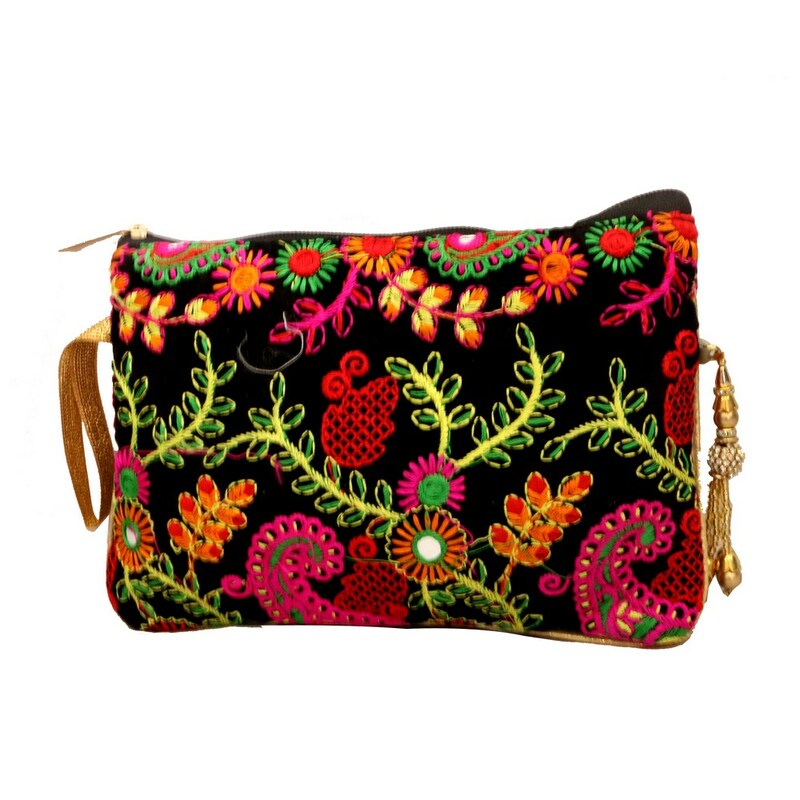 The brilliant embroidery work which Read More..adorns this purse bag reflects the hard work done by hand craftsmen. It also has a golden sling attached to it for added be Show Less..